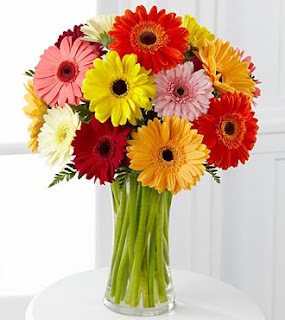 I was thinking about flowers for my bridesmaids when i saw colourful Gerberas and fall in love (like i too easily do when it comes to basically any flower type hehe ). 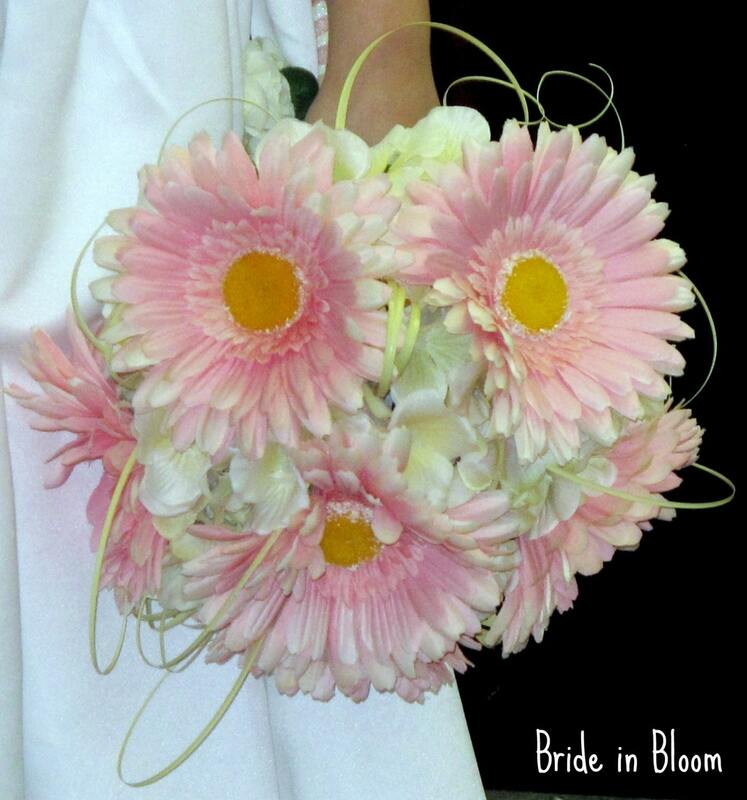 This flowers makes me smile when i look at them, and i almost can hear them talking to me " Wouldn' you LOVE to see as in your arms on your wedding day? 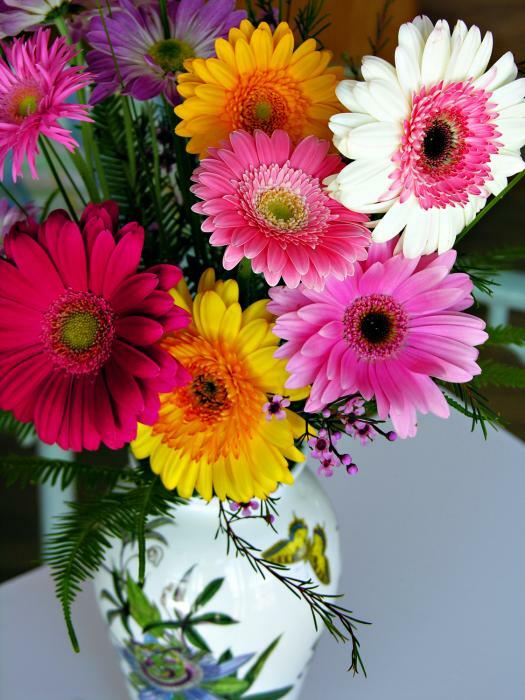 We would make you smile and bring you joy no matter what kind of weather is outside, pick us! " 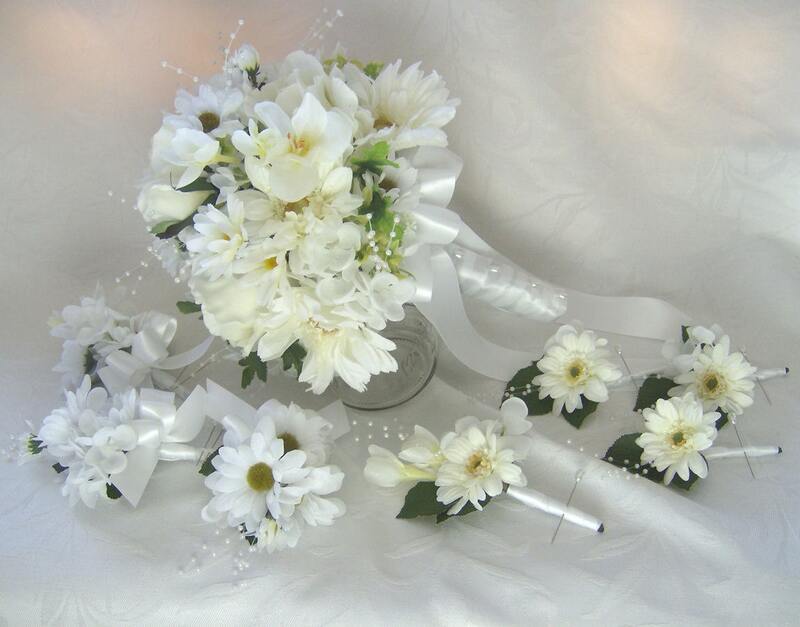 And honestly i feel tempted to forget the idea of a white bridal bouquet and go with something like this following ones. Bridal bouquet can be small and still look beautiful when bright coloured gerberas are used in it. 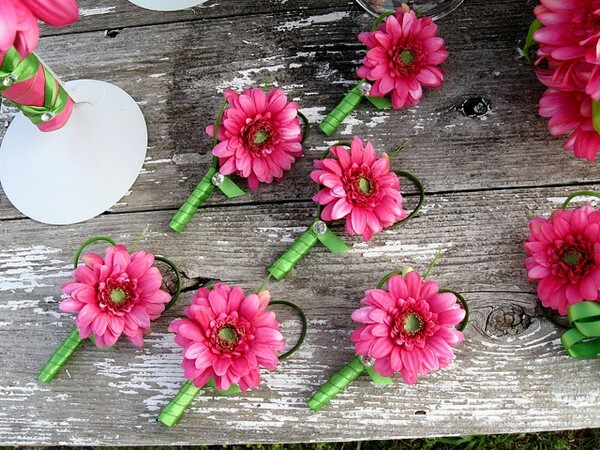 I will take a wild guess by saying that this type of a bouquets are good for brides on a budget. 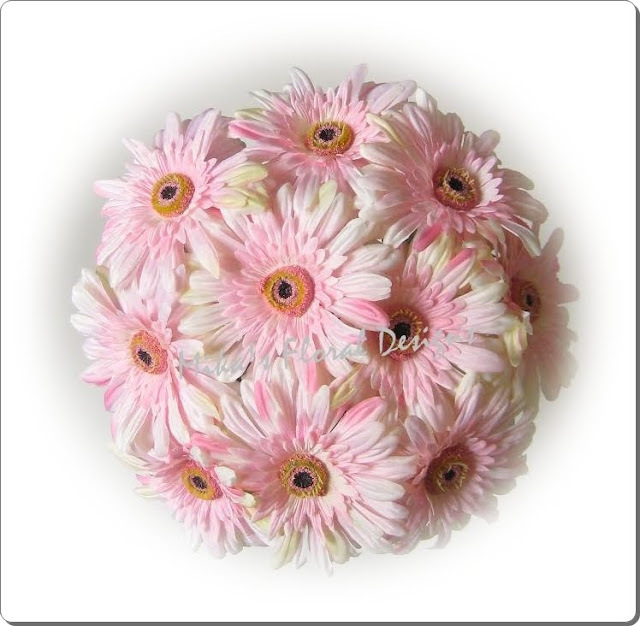 Omng i simply in love with 2 colour Gerberas... They are stunning ! 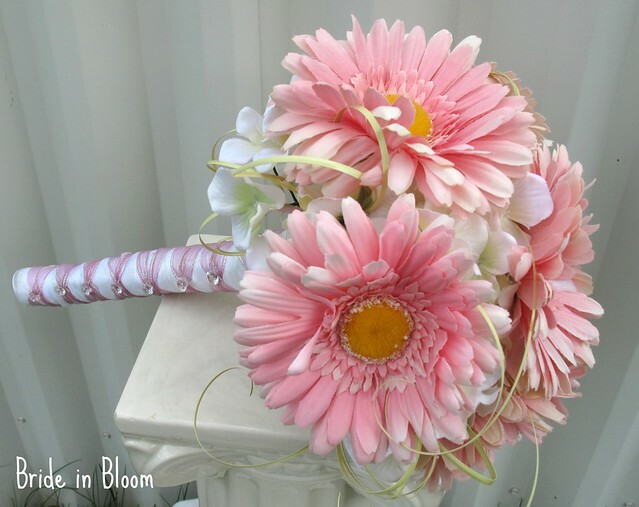 Maybe something like this for my bridal bouquet after all ?